Every year we hear the words that the angels proclaimed on the night that Jesus was born. Every year we lift our voices to sing these words as we celebrate the person of Jesus. Every year we celebrate with joy and rejoicing that Jesus, who came so long ago, continues to live and dwell in our midst. Every year, however, we must situate the celebration of this feast within the context of the time we live in. This year, we might wonder, as we did last year, how can we rejoice – how can we be joyful – how can we celebrate – in view of the fact that we continue to live in a nation and a world that is divided – in view of the fact that violence of every sort seems to be raising its ugly head every week in our world, our nation and our city – in view of the fact that a great number of men, women and children are still suffering as a result of natural disasters in this nation and all over the world– in view of the fact that many immigrants and refugees still know not whether they will be able to stay here or not – in view of the fact that justice and equality does not seem to touch the lives of all in our nation and in our city. So, what are we to do? We, like those Christmas angels, must sing of hope – hope that the world’s darkness can and will be overcome by the light of the Incarnate Son of God. 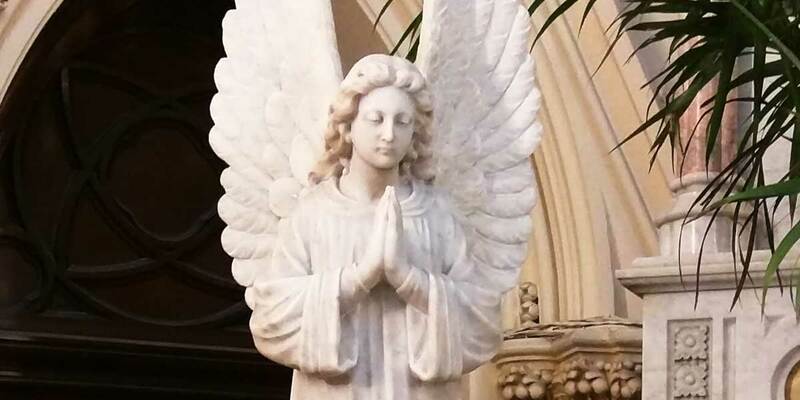 We, like those Christmas angels, must rejoice and be joy-filled – rejoice that goodness, kindness, forgiveness and peace continue to be present in our world in spite of the many challenges. We, like those Christmas angels, must be filled with love –a love that knows no bounds – a love that embraces each and every person, regardless of who they might be. When we, like those Christmas angels, sing of hope, are joy-filled and rooted in love, then, and only then, will we realize that God’s Promise has been fulfilled – Emmanuel — God-is-truly-with-us. Thank you for your continued support of Corpus Christi Catholic Church through your giving of your time, your talents and your treasure. I ask that you be especially generous during this Christmas season. May God grace you and yours during this holy and beautiful season! The season of Summer will officially begin this week. This is usually a time when life seems to slow down for most people. Children are out of school – many go on vacation – the weather enables us to spend time outside and to relax in the beauty of the day. However, in spite of all of this, the parish is still here. The church still is open. Masses still take place and the staff is still around. Therefore, even if you are away, on vacation or just taking a break – we still need your offertory gift. We would ask you not to forget your parish church. So please either mail your donation, your church envelopes in or use our bill pay program. Remember our bills still come in to the office each week – even during the summertime. So I do hope you enjoy your time off – but don’t forget you parish church – we need you as much as you need us! This is a very busy weekend here at Corpus Christi. 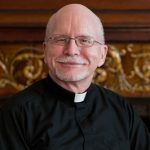 Our parish will welcome Bishop Madden. We will see some of our young men and women confirmed. And we will celebrate our parish Feast Day – Corpus Christi. What a fantastic weekend for our parish community – to see some of our young men and women, who have been part of the Corpus Christi community, stepping forward to be filled with the gifts of the Holy Spirit. What a grace! What a blessing! May all of us, on this Feast Day, pray in a special way for the confirmandi – Gigi Pilla, Nicholas Caiola, Anna Doherty, Ronan Nealis, Hope Sacco, William Schmitz, Charlie Wayner — may the Holy Spirit enable them to be faithful followers of Jesus. This weekend and specifically, on Monday, all over our nation people will remember the men and women of our Armed Forces. Most especially, those who have died will be lifted up in prayer. It is good that we take time to pray for and to thank God for these brave men and women who so lovingly have served our nation and its people – defending us from harmful enemies. As we remember those have died, let us also remember those who have been or currently are in the military. May God grace and protect those who are currently serving, especially if they find themselves in harm’s way. And may God grace all those men and women who have served in the armed forces and are still with us. Sacraments, an outward and visible sign of inward and spiritual divine grace, are celebrated during our amazing Easter season, as a Church. As a parish, we celebrated some of our children receiving their First Communion. We’ve celebrated Baptisms and we will be celebrating Confirmation coming up on June 3rd. Is there someone in your life in need of any of those “outward signs of grace” – Baptism, First Communion, Confirmation? If so, encourage them to reach out to Fr. Marty (mdemek@archbalt.org) or to Susan Yost (susan.yost@archbalt.org) to discern the possibility of pursuing the reception of any sacraments.